Warm the pulled pork in the microwave as directed on the package. Slice rolls in half. Place the bottom halves of the slider rolls in a 9x13 baking dish and top each half with the pulled pork. 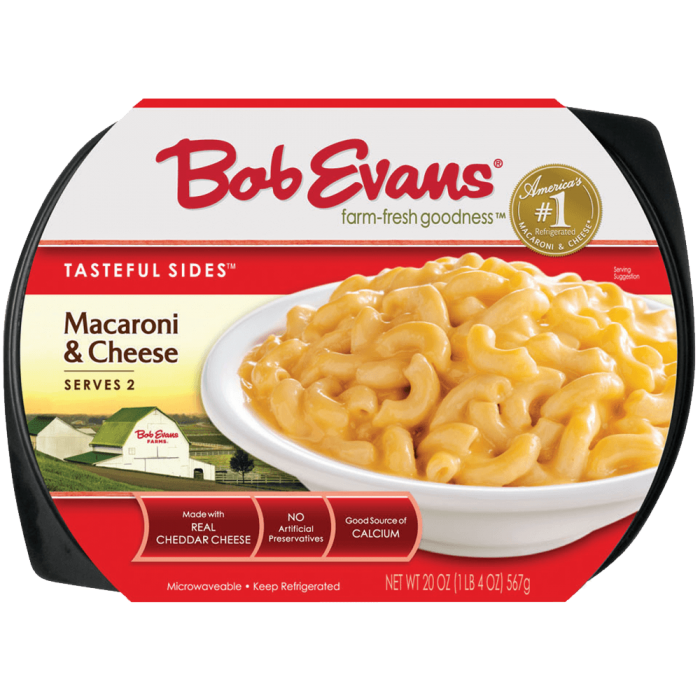 Microwave the macaroni and cheese according to package directions and spoon it evenly over the pork on each sandwich roll. Drizzle the barbecue sauce over the sandwiches. Lay the cheese in 2 rows of 3 over the sliders to cover each sandwich. Top with the top halves of the slider rolls. Stir the dry rub into the melted butter. Spoon evenly over the tops of the sandwiches. Sprinkle with the parsley. 2 Warm the pulled pork in the microwave as directed on the package. 3 Slice rolls in half. 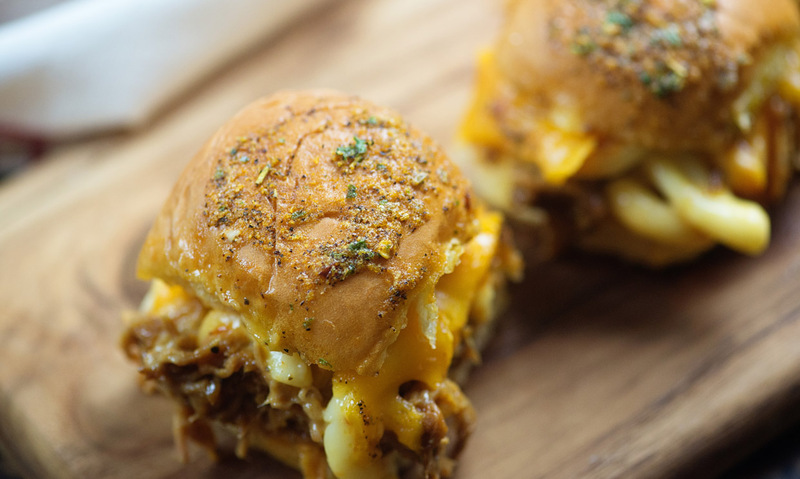 Place the bottom halves of the slider rolls in a 9x13 baking dish and top each half with the pulled pork. 4 Microwave the macaroni and cheese according to package directions and spoon it evenly over the pork on each sandwich roll. 5 Drizzle the barbecue sauce over the sandwiches. 6 Lay the cheese in 2 rows of 3 over the sliders to cover each sandwich. 7 Top with the top halves of the slider rolls. 8 Stir the dry rub into the melted butter. Spoon evenly over the tops of the sandwiches. Sprinkle with the parsley. 9 Bake, uncovered, for 10 minutes.